Spring is a very busy time for Purdue Admissions, and the daily visit, admitted student and other on-campus programs are often full. 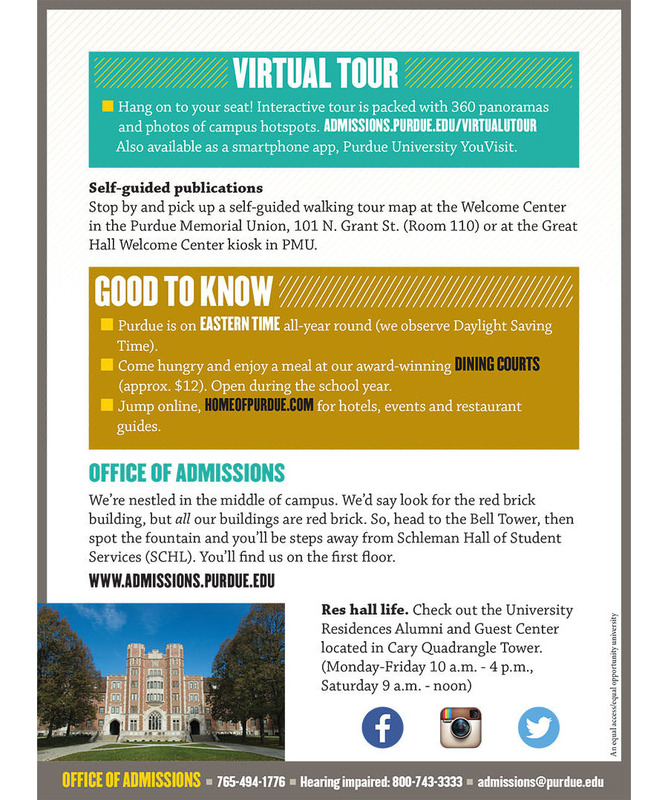 The Admissions staff needed to give people the option of a self-guided tour. To do this, a document needed to be emailed to students and parents.